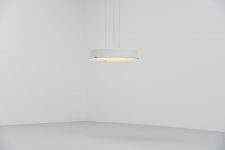 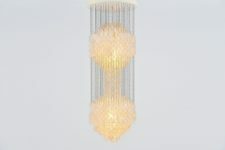 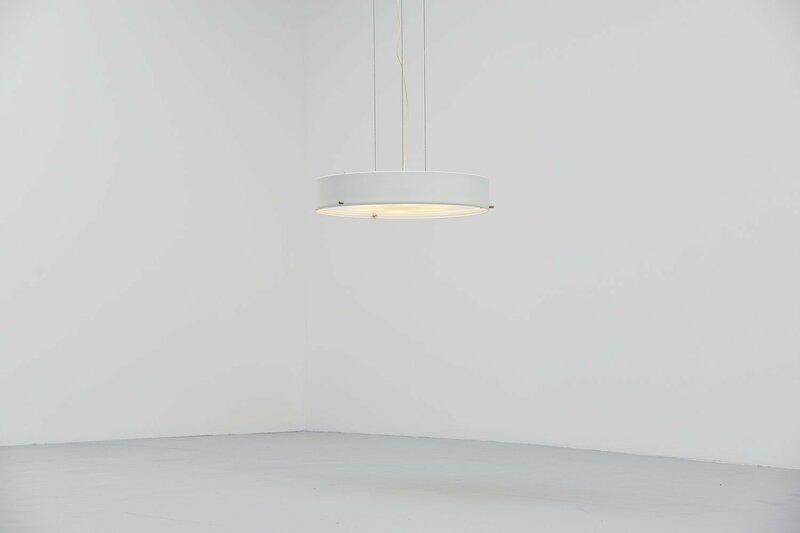 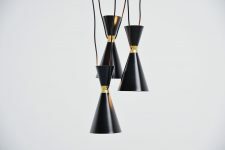 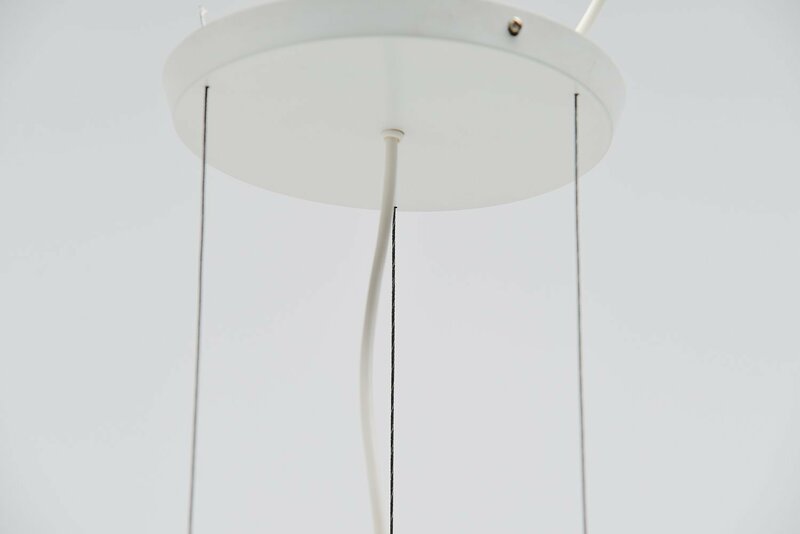 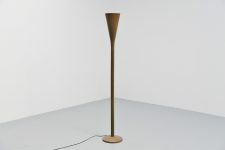 Nice large ceiling fixture model 288 designed by Bruno Gatta for Stilnovo, Italy 1960. 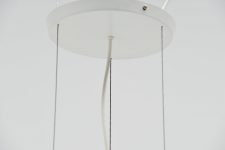 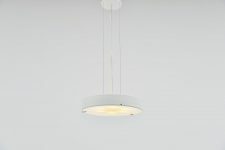 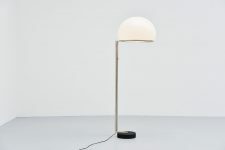 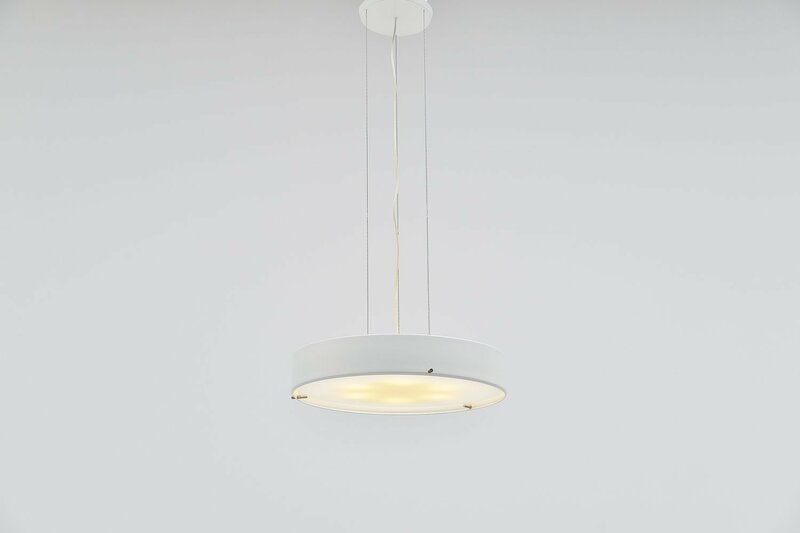 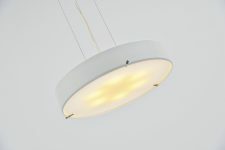 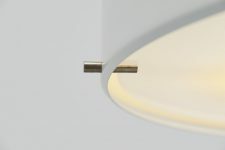 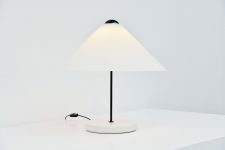 This lamp has a white lacquered metal shade with glass opaline glass diffuser shade. 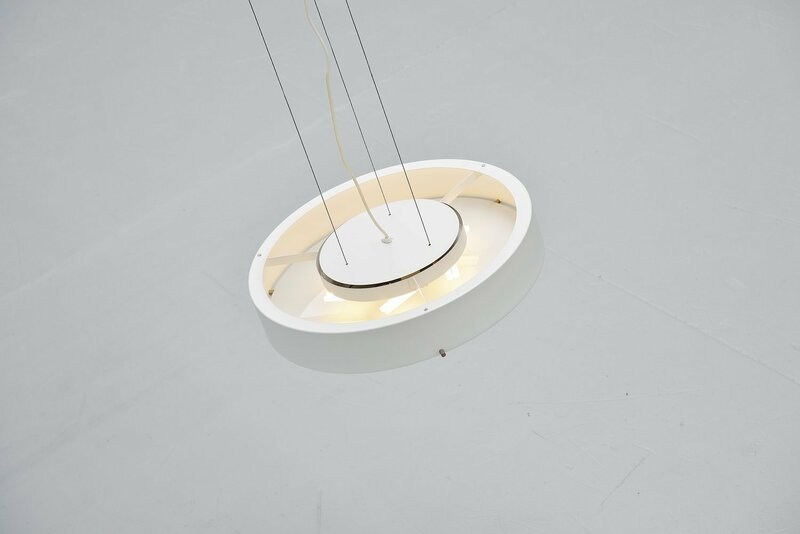 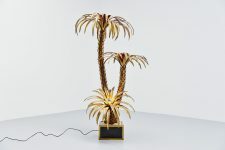 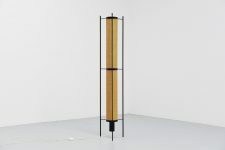 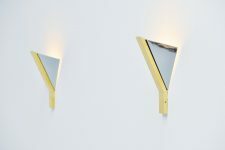 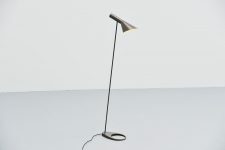 The lamp hangs on 3 metal wires and uses 6 PL lamps. 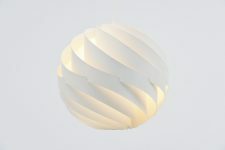 It gives very nice warm light when lit. 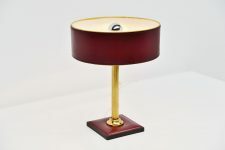 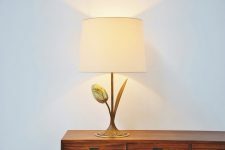 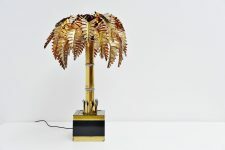 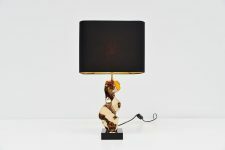 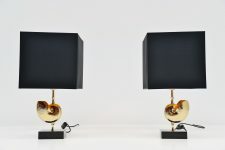 The lamps are in very good original condition, we have several in stock all in the same color and condition.